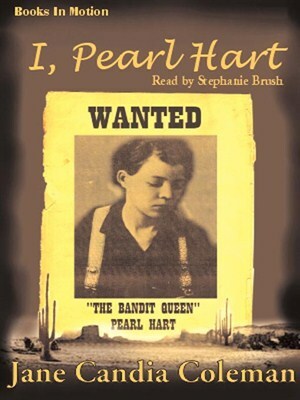 Pearl Hart A Canadian-born American outlaw, her career as a stage coach robber was short-lived. She drifted into bad company after her abusive husband left her to fight in the Spanish-American War. She and Joe Boot, a gambler, planned a robbery so she could return to her dying mother in Canada, but they were captured and imprisoned. She charmed her way out of prison but was recaptured and served only two years out of five in a male prison. She was pardoned by the governor upon learning that she was pregnant. Pearl de Vere, known as the "soiled dove of Cripple Creek," was a 19th-century prostitute and brothel-owning madam of the American Old West. Born: 1862 Died: June 5, 1897, Cripple Creek, CO Little is known about her youth. She was believed to have been born in Chicago, Illinois around 1862, and raised by well to do parents. She migrated to Denver, Colorado, while in her teens. 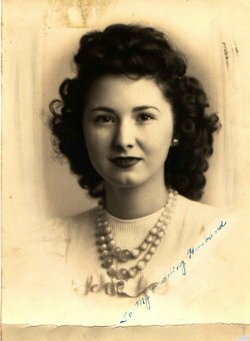 She was known in Denver as "Mrs. Martin," although it is not believed that she was married at the time. By the age of either 14 or 15, she was a working prostitute in Denver. When business slowed, she moved to the new boomtown of Cripple Creek, Colorado, in 1893. Cripple Creek would be the last great Colorado gold rush. Almost overnight, a city sprang up from a smal l community. The need for prostitutes in a land where men far outnumbered women was great. "Mrs. Martin", as she had been known previously, changed her name to Pearl de Vere and began working as a prostitute in Cripple Creek. Within months, she had started her brothel, with several girls in her employ. Vere had purchased a small frame house on Myers Avenue, from which her business would operate. She was described as being 31 years of age at the time, with red hair and a slender build, and was a pretty woman. She also was said to have been a good businesswoman, strong willed, and smart. Her girls were instructed to practice good hygiene, dress well, and have monthly medical examinations. She also chose only the most attractive girls for employment. In return, her girls were well paid for their services. She catered to the most prosperous men in Cripple Creek, and her brothel soon became the most successful in town. She was well known for wearing lavish clothing in public, and for never being seen twice in the same clothes. In 1895, she met and married businessman C. B. Flynn, a wealthy mill owner. The two had been married only a matter of months before a fire raged through Cripple Creek's business district, destroying most of the businesses, including his mill and her brothel. To recover financially, Flynn accepted a position as a smelter in Monterrey, Mexico. 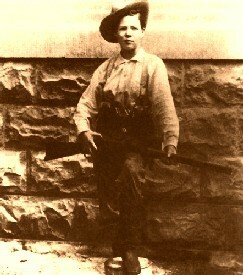 Pearl remained in Cripple Creek, rebuilding her business. She had a two-story brick building constructed in 1896, decorating it with lavish carpets, hardwood furniture, and electric lamps. The house was equipped with two bathtubs with running water. Each of her girls had her own bedroom, used for entertaining her guests, complete with a dresser, changing screen, and large bed. She also supplied each of her girls with a large trunk that could be secured with a lock, for their personal items. When a client entered the establishment, if he could not decide on a particular girl, he could enter what was referred to as the viewing room. In this room, located through a small door on the second floor, the clients could look down through a large window into the parlor where all the girls were gathered. Once the client decided on a woman, she would be brought up to the viewing room, where she would remove all her clothing so that the client could make a final decision. She called her newly opened business "The Old Homestead." She held parties to bring in clients and charged $250 per night for clients to stay over. On June 4, 1897, she held a large party sponsored by a wealthy admirer that included the best wine and caviar. The admirer had brought her an imported Parisian gown that had cost $800. The two reportedly had an argument, after which the gentleman stormed back to Denver, and Pearl told her girls that she was going up to bed. During the night, Pearl was found unconscious on a bed by one of her girls. A doctor was summoned, but she was pronounced dead in the early morning hours of June 5, 1897. The doctor stated that he believed she died of an accidental morphine overdose, but that was never confirmed. It is known that she often did take morphine to help her sleep. Her sister had been notified by the funeral parlor that she had passed. She made the long journey to Cripple Creek from Chicago, only to discover that Pearl was not a well respected military owner(this was the story Pearl had told all her family back home), but a madame at the most notorious Parlour House in Cripple Creek. Her sister refused to have anything to do with the funeral and remains and left immediately for home. Although Pearl's business was successful, at the time of her death, she didn't have enough money for a proper burial. She had spent all her income on the lavish furnishings for both she and her house. Some of the clientele of the Old Homestead had suggested selling the expensive gown that she had been wearing when she had died and used the proceeds to pay for her ceremony. Being well-liked by many of the townspeople and miners(she had been known for being somewhat of a philanthropist to the town), they started to make arrangements for the funeral procession and burial on their own. Meanwhile, a letter arrived in the mail from the gentleman who had given Pearl her gown. The letter asked that she be buried in the gown and included a check for $1000 to pay for her funeral(that would be about $36000 in today's money). 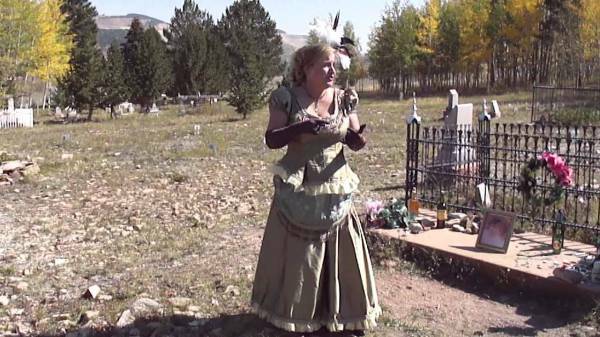 She had THE most lavish funeral procession in Cripple Creek's known history. All the bands in town played the appropriate somber tunes on the way to the cemetery while practically everyone in the town came to watch - either out of respect or just plain curiosity! After her burial, they continued to play while heading back into town. However, they lightened the mood and made it more of a celebration by playing more upbeat tunes including, "There'll be a Hot Time in the Old Town Tonight". At least one newspaper reported that she committed suicide, it cannot be confirmed whether it was true. She was buried in a large ceremony in Mt. Pisgah Cemetery, where her grave was marked with a wooden marker. By the 1930s, her grave-site had been all but forgotten. However, as tourism for Cripple Creek picked up, her grave marker was replaced with a marble stone. The original headstone can now be seen hanging on the wall in the Cripple Creek District Museum.